Our store is unique in many ways. We carry exceptionally fine pens, we are located in a little piece of paradise, our village is a walking village with no traffic, and we are very dog friendly. 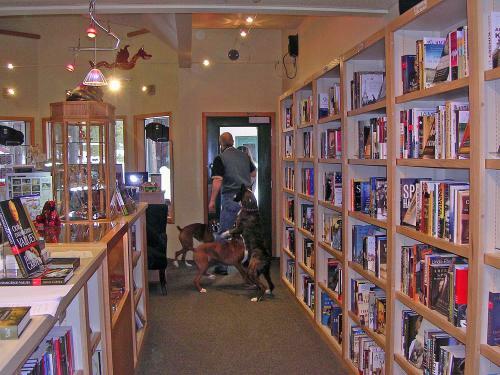 Sunriver Books & Music may be the only bookstore in the US that occasionally has dog play sessions!